Still in high school, my family spent vacations in Italy, close to Venice. After coming home, I was working in my father's art studio on my first (and so far only) oil painting (in 1976). The shady facades of the old Venetian palaces are contrasted with the sun lit dome of the Madonna de la Salute Church. 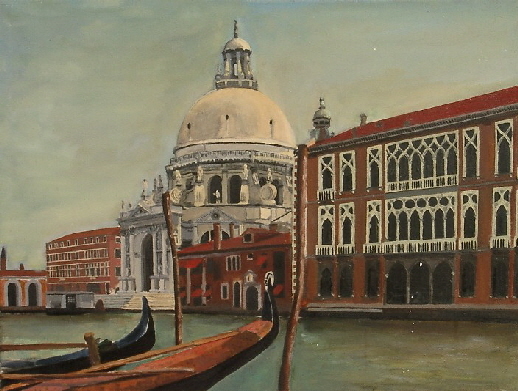 In the foreground two Venetian gondolas can be seen.